Instagram is one of the apps of the moment, its success is brutal. If you go to the Google Store, Play Store, you’ll see that the photo application is in the top 10 of the most downloaded photos. But what is also true, is that although you can use Instagram from your computer, this famous social network is used a lot more through mobile devices, completely changing its usability, we find it even more beautiful and interesting to use. INSTAGRAM BEST NINE – Your Nine Best Photos of 2018! That’s why, what we want to show you today, is that you can use the authentic application that you have on your smartphone from your computer, what it would be, Instagram for free PC. You know, on the Internet we always find a solution for almost everything, so there’s no need to worry; we have the option to download and install the Instagram PC app using BlueStacks and Andy OS, which are just two free PC emulators for Android and iOS. Thanks to them, we can make use of our favorite applications from a PC. 1 How to download Intagram for free PC with BlueStacks? How to download Intagram for free PC with BlueStacks? The BlueStacks App Player is available for Windows and Mac operating systems. The first step we have to follow is to go to the BlueStacks page and download this PC emulator, the App Player for the platform or operating system we use. If you install it for example in Windows, we have to click on the blue box at the top right, where it says “Download BlueStacks”. The next step is to download and install BlueStacks (warning: this may take a few minutes). Once installed, we need to give the application permission to access the Google Play Store through our personal Google Account. Similarly, we need to enable the Sync app in BlueStacks. At the end of this step, we can already search in BlueStactks “Instagram”, either through Google Play Store or in the App Sync. 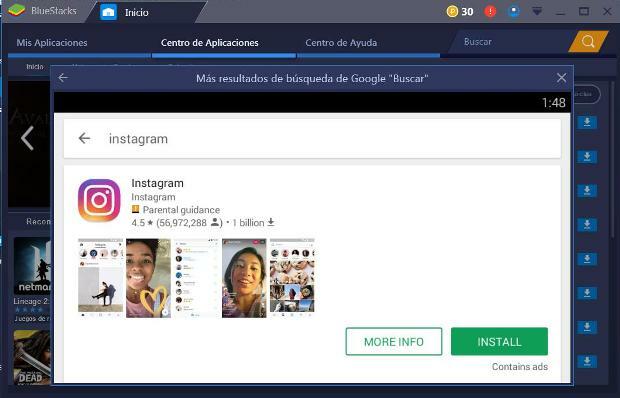 Well, we already know how to download the Instagram app with BlueStacks free for PC, so we can start it and start uploading and sharing photos in Instagram. If you want to see the process in images, so that you can clear any doubt (if you have it), here we leave a video in it you can see how to download for PC, and install BlueStacks easily. There are so many other emulators available on the Internet, and one of the most downloaded and used is Andy OS; this emulator allows us to download the vast majority of apps and games for Android directly and instantly on our PC. Thanks to Andy OS we are going to run Instagram on our computer without any problems, as if we were doing it from our smartphone or tablet. Mention before we forget, that this emulator provides us with unlimited storage capacity. In addition to supporting the Windows operating system, the application supports Apple Mac computers. 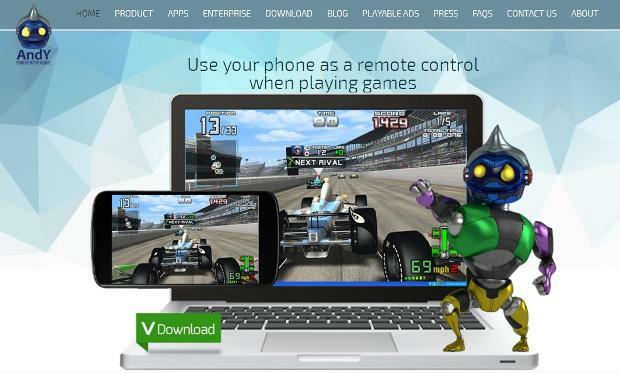 We can use our mobile phone as a remote control when running games and apps and games from the emulator. Andy OS is very popular with users. If you are looking for a good experience using Instagram from your computer, Andy is without any doubt a perfect choice. We don’t want to leave without you watching a video with the entire process of downloading, installing and using Andy OS, so you’ll have it clearly and without any doubt. Have you seen how easy it is to download Instagram on your computer? You no longer have any impediment to using Instagram from your computer thanks to BlueStacks and Andy OS. 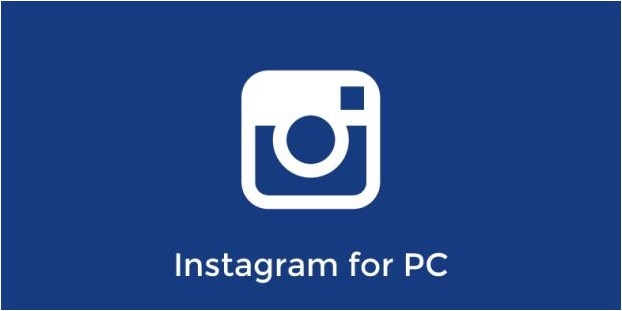 What are you waiting for to download Instagram for PC and all your favorite apps and games?